Sunset Ibiza is the new and exclusive residential on the ‘white’ island with which Taylor Wimpey hope to surprise you once again. This is a spectacular project with 2 and 3 bedroom apartments on the shores of the Mediterranean Sea with incredible views over the bay and Conillera island. For sale direct from the developer. From this privileged enclave, from your own home, you can enjoy enviable sunsets that are admired the world over. Enjoy a magical evening at your pool surrounded by communal gardens, or just simply admire the immensity of the Mediterranean Sea from the large private terraces. Sunset Ibiza also provides you with your own underground parking space and direct access to the sea. Taylor Wimpey de España has created a new concept in homes based upon making the most of available space and maximising the natural light in every room, integrating the kitchen and living room and having a spacious terrace communicating all the rooms. Sunset Ibiza provides everything necessary for your optimal comfort, complying with the new European building quality standards, guaranteeing maximum soundproofing between homes and thermal insulation. The material and finishings used have been specially selected to provide elegance, exclusivity and comfort to the apartments. Highlights include the porcelain flooring, elegant exterior carpentry, air conditioning, large windows guaranteeing maximum levels of natural light, fully fitted kitchens, modern bathrooms with top quality fixtures and fittings. Sunset Ibiza also provides other convenient features such as private underground parking and direct access to the sea. 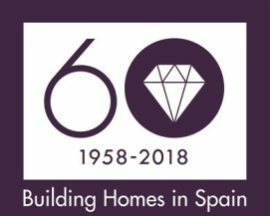 Over 60 years building quality homes on the Spanish coast and over 6.000 clients who have placed their trust in us. Taylor Wimpey de España has chosen to construct its latest exclusive project on the island of Ibiza, Sunset Ibiza. Beautiful natural parks, tranquil turquoise waters and stunning cliffs, traditional villages with an unusual peacefulness, memories of a hippie movement, select ambiences, delicious local cuisine and exclusive gastronomy and the most beautiful sunsets in the Mediterranean. Ibiza is all this and much more. The white island, one of the most recognisable luxury tourism brands in Spain, is an island of delicious contrasts and is an important benchmark at international level, not only because of the exclusive cosmopolitan nightlife, but because the island is wonderfully multicultural but at the same time proud of its roots and history. Lively yet relaxing, global and yet undiscovered, an exceptional part of the Mediterranean with 210 kilometres of coastline and offering more than 18 kilometres of beaches with gorgeous fine white sand and crystalline waters, traditional architecture in pure white, fortified churches, and not forgetting the spectacular walls of Dalt Vila, a world heritage site. Ibiza is as fascinating during the day as it is at night. A colourful city with a unique style where eccentricities are the norm and form part of the exclusive island magic. The exclusive new Sunset Ibiza promotion by Taylor Wimpey España, gets its name from the spectacular sunsets over the Mediterranean, admired worldwide. Sunset Ibiza is located next to the quiet beach at Cala Gració, which stands out because of the fine sands bathed by turquoise waters which give visitors the impression that they are in a real crystalline pool surrounded by stunning natural scenery. At the same time, this peaceful environment still has all the services and facilities you need on hand nearby. Next to Cala Gració is next to Cala Gracioneta, an even smaller and charming version of Cala Gració. The waters are also crystal clear and amazingly calm, and the lovely white sand is protected by a rocky entrance covered in pine trees. These are just a few of the reasons why these are two of our favourite coves on the island of Ibiza.